Friday Fixation: Disneyland! | The House of Martins The House of Martins: Friday Fixation: Disneyland! 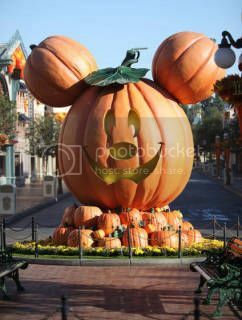 This is my favorite time of year to visit Disneyland -- and I'm lucky enough to be going next week with my family. I love the haunted house decorated extra spooky with the Nightmare Before Christmas stuff - and all the other little "Halloween-y" bits they add. I've been trying to find new things to do around Disneyland that I haven't done before - or at least haven't done in a long while. Last time we ate at the Blue Bayou (the restaurant that is inside Pirates of the Caribbean) and it was good. The food was good and the ambiance was amazing. Might be worth doing again - since I'll be with a different group of family this time. One thing I've never tried, actually never knew they offered, is a turkey leg. Did you know they sell turkey legs at Disneyland? My dad is a big turkey leg fan - so if he comes with us I'll be sure to treat him to one for lunch. I'm also never been on a Guided Tour around Disneyland - and maybe the Walk in Walt's Footsteps would be interesting. I hear you get to see Club 33. Anyone have any other low key Disneyland suggestions?